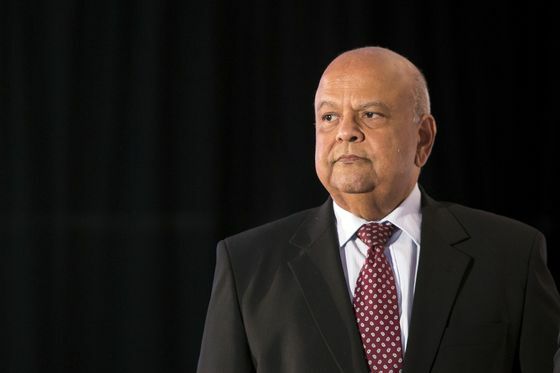 (Bloomberg) -- South Africans looking for signs of an end to the latest round of power cuts were left disappointed after the minister responsible for utility Eskom Holdings SOC Ltd. said he doesn’t have answers yet. The country will on Wednesday face its seventh day of rotating blackouts -- needed to avoid a total grid collapse -- as the state-owned company struggles to bring faulty generating units back online. Eskom will cut 2,000 megawatts from the grid from 11 p.m. on Tuesday until 9 a.m. on Wednesday, when it will escalate that to 4,000 megawatts. The staggered cuts, known locally as load-shedding, leave roads gridlocked across Africa’s most-industrialized economy and stunt business productivity, hitting small companies especially hard. Eskom staff are working to assess the breakdowns, Public Enterprises Minister Pravin Gordhan said Tuesday. The operational issues at Eskom’s plants were compounded over the weekend by a loss of power imports from neighboring Mozambique, which was hit by a devastating cyclone. Eskom is seen as a key risk to South Africa’s economy. The government last month approved a 69 billion-rand ($4.8 billion) bailout over three years to help rescue the utility, which is struggling to emerge from years of mismanagement, allegations of corruption and ballooning debt caused by cost overruns at two large new plants. The new facilities -- Medupi and Kusile -- are not only massively over-budget and behind schedule but also defective and have contributed to the latest outages. The company is also spending large amounts of money on diesel to run turbines designed for peak use. It’s used 4.6 billion rand to buy diesel this financial year, well above the allocated 670 million rand, spokesman Khulu Phasiwe said. Eskom’s operations have reached “crisis level,” Chairman Jabu Mabuza said. It’s also investigating whether to finish the Kusile plant. South Africa’s crime intelligence unit is investigating whether sabotage could be to blame for the plant breakdowns, News24 reported, citing unidentified people within the police force. The specialized police unit is looking into whether the breakdowns are deliberate and the work of aggrieved Eskom workers, the Johannesburg-based news website said.